By Lori Ferraro What’s black and yellow, huge and plastic, with a cap the size of a doorknob? Jean Nate’ after bath splash, of course! I would make excuses to take a shower in my parent’s bathroom, because my mom had a big bottle of the yellow stuff in there. I admired the beautiful women in the commercials who would splash handfuls of that yellow liquid on themselves. They looked so energized and enthused! And they did things like race horses! 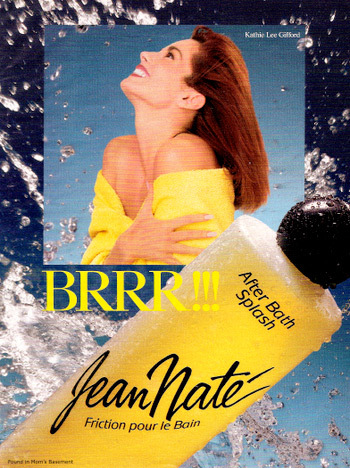 https://www.youtube.com/watch?v=StWJXgohR1k “Jean Nate’ after bath splash is for people who want to TAKE CHAAARRRGE of their life…so fresh so new…you get the feeling there’s NOTHING you can’t do.” They also made the application of this product look much easier than it was. 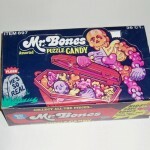 I remember soaking the shower stall with the citrus scent — the room smelled like a lemonade stand blew up in it. Half of it usually ended up down the drain, which did not make Mom very happy. 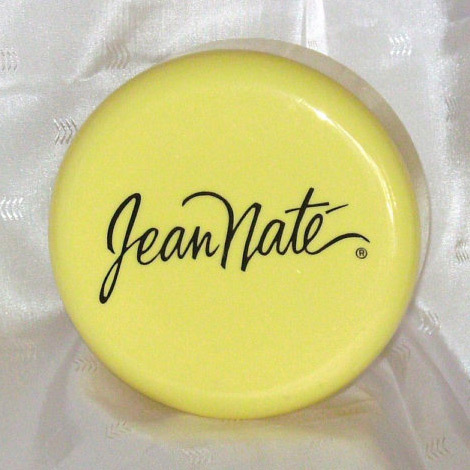 Jean Nate’ is no child of the ‘80s that’s for sure – it made its first appearance on the market way back in 1935! But the ‘70s and ‘80s were the heyday of Jean Nate’. Even Kathie Lee Gifford was splashing the stuff all over herself! 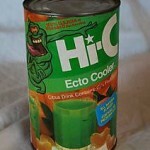 Their ads claimed you could “go one step beyond any clean you have ever known before” with this after bath splash. I don’t think Jean Nate’ made me feel any cleaner than usual, but it did make me feel more lemony-fresh, like a good detergent. 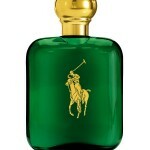 The scent is still going strong today; you can still find it at drug stores or here on Amazon. There’s the original after bath splash, cologne (I love that they still call it that rather than perfume) and even the plastic round “dusting powder” that I always remember seeing at my grandma’s house in her bathroom. So take a step (and a shower) back in time. Feel the signature Jean Nate’ “tingle” and “BRRR!” once again. Maybe as an adult I can perfect the cup-hand-SPLASH Jean Nate’ routine. I’m sure I can – because there’s nothing I can’t do!